As the four-year countdown for 2022 FIFA World Cup Qatar™ kicks off on November 21st, beIN is dedicating a full day in honor of one of the biggest sporting events in the world on several of its channels, live from the host nation. From special programs and interviews to reports, beIN will broadcast the captivating history and experiences of the World Cup throughout the years through its unrivalled commentary, expertise, and exclusive footage of some of the most iconic moments in football. 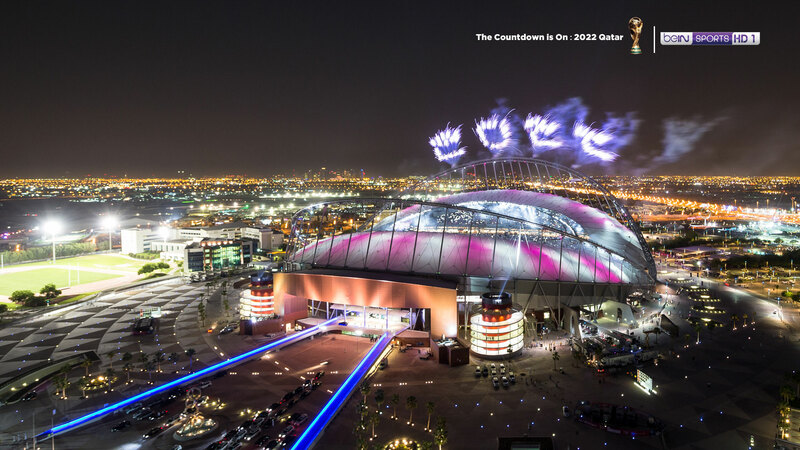 Having been the official broadcaster of the FIFA World Cup since 2010, and also the official broadcaster of 2022 FIFA World Cup Qatar™, several beIN star presenters and guests will report live from several locations around Qatar, including the revamped and ultra-modern Khalifa International Stadium, giving viewers a glimpse into what to expect in just a few short years. Viewers can tune into beIN’s English and Arabic channels, as well as beIN’s dedicated 4K channel, to catch historic World Cup matches. beIN’s official social media accounts will surprise followers with additional exclusive content and live interviews from Qatar. Commenting on 2022 FIFA World Cup Qatar™, beIN MEDIA GROUP Sports Advisor Jonathan Whitehead said: “As the official broadcaster, beIN MEDIA GROUP’s prime focus is providing millions of viewers with outstanding, top quality and dynamic coverage of the greatest football tournament in the world. As an organization with a strong and very proud footprint in the Middle East, beIN MEDIA GROUP is tremendously excited that the FIFA World Cup will be coming to the Arab region for the first time”. “We are also enormously confident in Qatar’s ability to deliver an exceptional World Cup experience, and recent major events in the country have been terrific successes: the 2006 Asian Games, the 2015 World Men’s Handball Championship and next year the World Championships in Athletics. In addition to combining vibrant Qatari culture and hospitality with innovative fan and player experiences, the compact nature of 2022 FIFA World Cup Qatar™ will offer millions of fans a unique and distinct experience, and build a lasting legacy in Qatar and the entire MENA region,” he added. beIN is the official broadcaster for the 2022 FIFA World Cup Qatar™ and the 2026 FIFA World Cup, having started its journey as the official broadcaster of the FIFA tournament since 2010. Follow beIN’s Instagram, Facebook and Twitter accounts @beINSPORTS and @beINSPORTS_MENA for Twitter Arabic for all the updates as Qatar counts down to the 2022 FIFA World Cup.